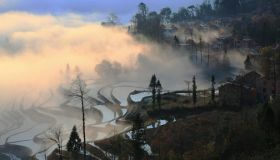 After a hot summer journey, the village of Qingkou in Yunnan, southwest China, finally emerges from amongst the clouds. Dense forest gives way to a tapestry of thatched houses, as a long stretch of terraced rice fields spans-out below. The village appears to literally hang from the mountainside. Situated 1,600 meters above sea level and 6.87 km from Xinjie Township, Qingkou forms part of the larger socio-ecological production landscape of the Hani rice terraces that is currently a candidate for the UNESCO World Heritage List and is already listed by the Food and Agriculture Organization of the United Nations (FAO) as a Globally Important Agricultural Heritage System (GIAHS). The village is home to about 1,000 people (209 households), 98 percent of whom are of Hani ethnicity. Dr. Tuisem Shimrah, a young faculty member at the Department of Botany, Delhi University, and Tomohisa Abe, a Ph.D. candidate from Tokyo Metropolitan University in Japan, are pleased to finally reach their destination. Tuisem and Tomohisa are among over 100 participants from Asia and further afield who spent their summer vacation conducting fieldwork amongst remote ethnic communities in Yunnan and discovering more about the intersections between traditional cultures, transforming environments and social change. The fieldwork was part of a postgraduate summer school programme organized jointly by the Yunnan University Nationalities Research Institute (YNU-NRI) and the United Nations University Institute for Sustainability and Peace (UNU-ISP) in Tokyo. By combining both coursework and practical field study, the summer school aimed to give students first-hand exposure to the complex relationships between ethnic cultures and their environments, whilst helping to build capacity for sustainable development in ethnic minority areas in southwest China and bordering regions. During the three-week programme, participants were introduced to basic social anthropology research methodologies used in field studies and explored how to apply these methods to analyse the interrelationship between humans and the living environments. In particular, fieldwork participants studied the role of indigenous knowledge in agriculture, botany and hydrology, as well as its potential role in promoting sustainable management of natural resources and the conservation of biodiversity. Yunnan provided a culturally and environmentally rich setting for the summer school. Participants quickly became aware of many trans-regional and trans-location links. “The theme of the summer school, ‘Culture and Environment’, was very much related to my area of research in India,” Tuisem explained. Qingkou was one of the nine field sites selected for the programme. 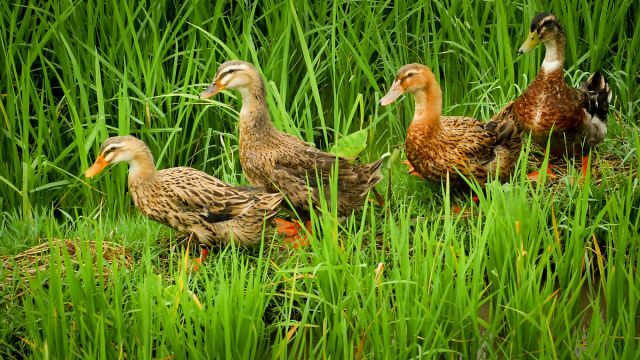 Students completed nearly two weeks of first-hand research in one of the villages, following an initial week of coursework at Yunnan University’s Kunming campus. During the coursework, lecturers from China and abroad shared multidisciplinary perspectives on field studies, including anthropology, ethnology, ecology, agronomy, hydrology, sociology, political science, economics and media studies. “The lectures given by experts about fieldwork methodology before undertaking research were of great help in formulating research questions and going into it [the field] in right direction,” Tuisem said. This complex interaction between local cultures and the physical environment is an ongoing focus of research conducted by both UNU-ISP and the UNU Institute of Advanced Studies (UNU-IAS). Traditional knowledge and local practice have rarely been scientifically and systematically assessed (meaning invaluable, practical information about local knowledge and adaptive capacities often escapes analysis, documentation and dissemination from one site to the next). The UNU-ISP Agrodiversity Project aims to improve understanding of community resilience — how and why local communities have managed and adapted to indigenous systems in response to global changes. 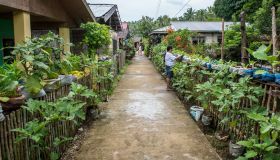 By linking local and global knowledge, the project identifies alternative ways to enhance the coping capacity of ethnic communities and contribute to policy development and sustainable land use systems in marginal regions. For example, Prof. Luohui Liang from UNU-ISP, a co-organizer of the Summer School, has studied how the Hani people of Yunnan’s Ailao Mountains (where the Qingkou Village is located) have harnessed local ecosystem products and services to sustain their livelihoods over generations. During the fieldwork, Tokyo Metropolitan University student Tomohisa Abe was struck by the multi-purpose “special” role forests played in the lives of local children. Forests were much more than a source of “useful materials”: The children shared their “remarkable capacity” to navigate through the forest searching for berries and wild fruits, fishing and swimming, or seeking respite. “The Hani children not only knew all of paths within the village, but they could also easily find walking tracks through the forest or rice terraces,“ he said. “To obtain ‘natural resources’ in this way is very time consuming. The emerging education system in the village [which changes how children spend their time] may influence this relationship between the children and nature”, Tomohisa observed. Summer school participants observed how faith-based natural resource management systems are often embedded in cultural traditions, beliefs and proverbs. “Qingkou villagers are deeply aware of the importance of forests, as evident from the way they maintain greenery in different strategic areas such as the hilltops, streams, within fields and on hillsides”, Tuisem explained. Local Hani people in Qingkou attach considerable significance to conserving forests “vis-a-vis rice fields”. This practice is “embedded from ancestral days, as evident from their narration that goes, ‘Forests are the lifeblood of water; Water is the lifeblood of terraces; Terraces are the lifeblood of the Hani people’”. 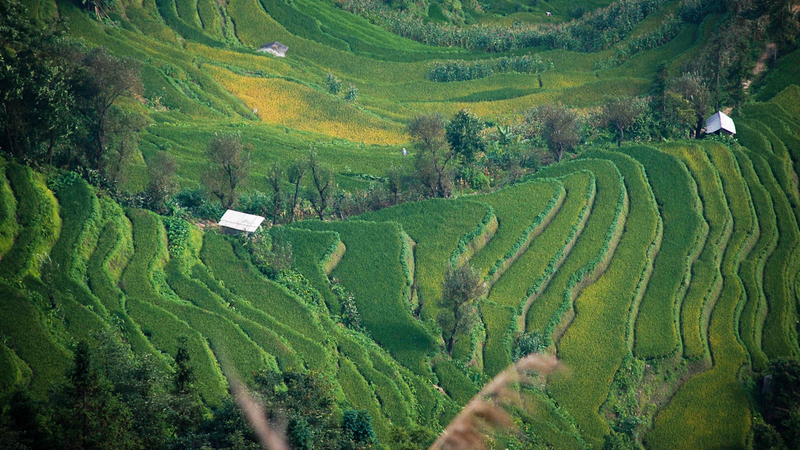 Globalization and rapid socio-economic change have placed unprecedented pressure on indigenous land management systems in Yunnan and further afield. “Local communities in China’s southwestern borderland face many challenges, including tourism, rural-to-urban migration and commercial farming. In order to secure better income prospects, more and more farmers have taken up jobs away from the farm, or have left the land to work in the cities. Some farmland has also been converted to grow high-yielding commercial crops such as rubber,” Dr. Gu explained. Social and economic development poses challenges to researching culture and environment and to building community resilience. “In the context of rapid socio-economic changes, research teams need to pay special attention to the adaptation of traditional cultural and social structures of local communities,” Dr. Gu said. The diverse impacts of these changes on agro-biodiversity in Qingkou were apparent to summer school participants. “Of late there has been some disregard of traditional beliefs… some of the families residing near sacred forests have started intruding into the forest area for agricultural activities. Maize (corn) fields can now be observed in the periphery of sacred forest. 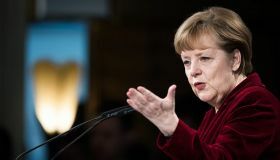 This may be due to the pressure of meeting food requirements for the increasing population”, Tuisem observed. Government initiatives are underway, however, to help encourage ongoing sustainable management of natural resources and recent efforts to promote ecotourism may also help conserve agro-biodiversity and traditional cultural practices. “Eco-cultural tourism in regions like Yunnan (known for its biological and cultural diversity) has the potential to not only provide alternative livelihoods to local communities, but also help to drive a ‘revival of traditions’…. In Qingkou Village, for example, the traditional mushroom-shaped thatched-roof houses are well maintained to attract tourists. In addition, the government has also provided policy support for the protection of traditional culture”, Dr. Gu explained. What challenges, then, do these changing interrelationships present for “studying” culture and environment? How can the contemporary fieldwork methodology and toolkit evolve and respond? Whilst these are complex questions — and the subject of methodological debate — the Yunnan summer school not only introduced students to the diverse tools available to the contemporary fieldworker, but also to the breadth of issues and concerns involved in their application. Whilst broad social and economic change impacts on the dynamic between communities, cultures and environments (and the ways of studying them), as Tuisem and Tomohisa both observed, many practical concerns — such as heavy rainfall, language barriers, poor weather and the lack of existing literature — also proved challenging. “The most crucial problem came from difficulties communicating verbally with villagers. The main reason for this was that I cannot speak the Hani language. But I think there is another important problem: the villagers felt it is necessary to try to use Mandarin (not Hani language) when talking with outsiders, including Han Chinese. Certain villagers can speak limited Mandarin, but it is too difficult for them to answer or express themselves adequately enough in a research interview”, Tomohisa said. Building bridges across disciplines, cultures and locations can help overcome these challenges and continue to shape fieldwork methodology in new directions. 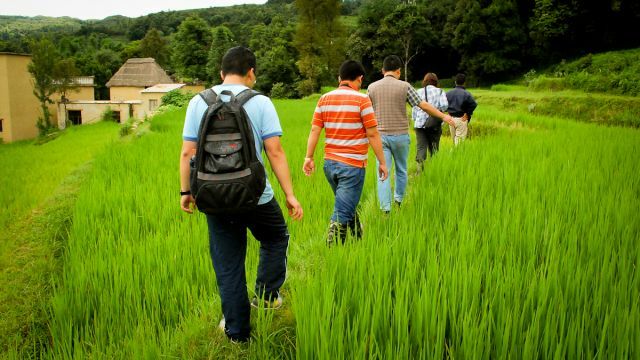 The Yunnan summer school encouraged knowledge sharing and a “trans-community, trans-regional” application of traditional practices and practical knowledge. By integrating course work and field studies, participants not only learned about the methods of field studies, but also gained appreciation of the importance of traditional knowledge and culture in shaping human interactions with living environments. Tomohisa was pleased that the fieldwork provided a solid introduction to further research he plans to undertake in the Hani terraces (he is currently studying Hani language in Yunnan). In contrast, Tuisem is confident that he can transfer some insights he gained on traditional land management practices in Yunnan to his own area of field study in Arunachal Pradesh in India, an area known for its ethnic and biological diversity. However, traditional knowledge and culture is not static. It is evolving with time and socio-economic changes. 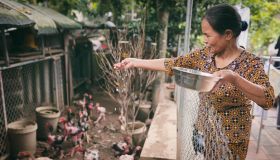 To help the local communities to adapt to such changes, it is important to engage other stakeholders — such as government, academics and the private sector — and empower local communities in the decision-making and the implementation process.